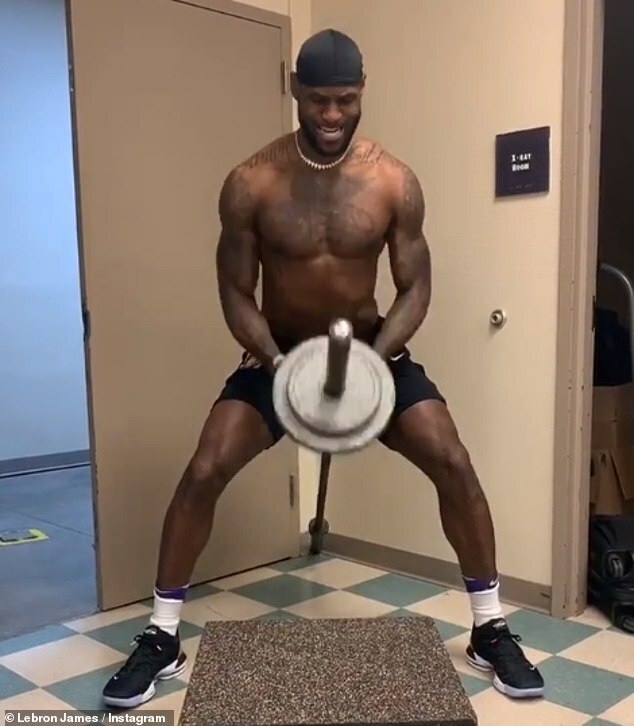 LeBron James may have been shut down for the rest of the season by the LA Lakers but he has still resisted the urge to put his feet up for the remainder of the campaign. 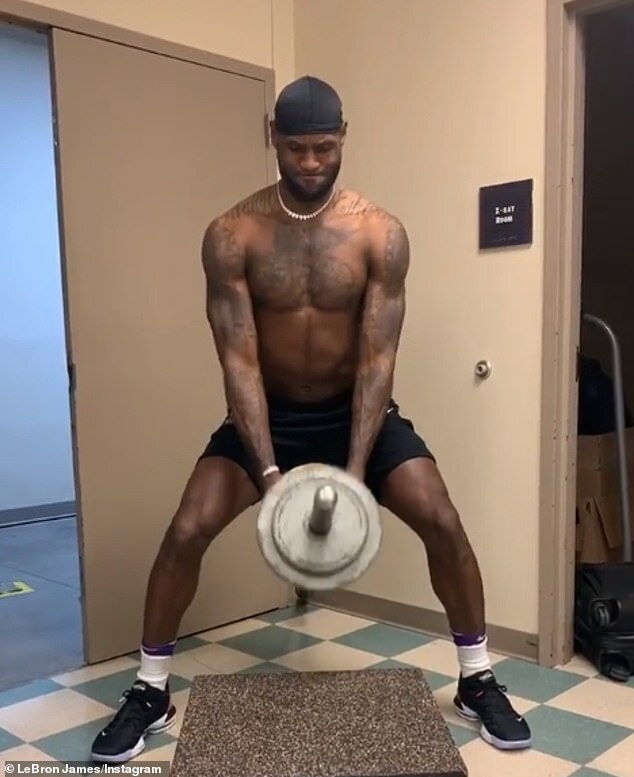 After failing to make the NBA play-offs in his debut year at the STAPLES Center, LeBron has been given the remainder of the season off as he continues to return to full fitness. The former Cleveland star suffered a groin injury around Christmas that kept him out of 17 consecutive games, the longest streak he has ever missed with an injury. And, with the Lakers staff already plotting for next season, they have given him some time off to fully recover. 'He wants to play,' Lakers coach Luke Walton told reporters before his side's win in New Orleans on Sunday.